We love all animals, new opportunities and learning new things. 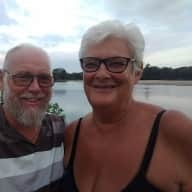 We are a retired couple who are enjoying travelling in our motorhome, visiting various countries and learning about other cultures. Prior to our retirement we started and developed a local charity in our home town which helps homeless and disadvantaged people to rebuild their lives. Trish as CEO was rewarded for this by a star in the town centre pavement and an award certificate presented by the local council. The charity absorbed us for 8 years and we spent all our time concentrating on it so when we retired, we decided to do something completely different, hence the motorhome! We have had dogs in the past, but while we were so busy at work, we made a conscious decision not to have another pet until we could spend time with it and travelling in a confined space makes it difficult for us now. While we have been at home for a few months, we have been looking after our son's chocolate Labrador, Tia while he was working away, and she has been a real treasure. She has kept us entertained and fit, taking her for walks and playing with her! 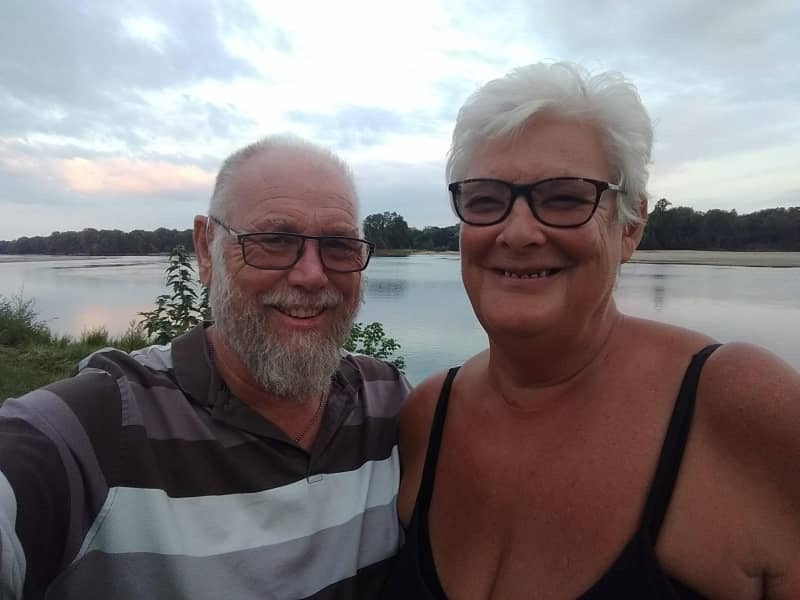 We have really enjoyed our touring but are now looking to enhance that by house and pet sitting, thus allowing us to stay in one area and to get to know things in that area while allowing us to lavish our love on a pet or pets. We have no previous experience of house sitting but have owned our own home for 45 years. We have always kept it well repaired and maintained and it is our palace! Our garden with its pond and raised beds are tended by Howard and he has had some success growing vegetables and salads. We would be very happy to look after someone else's property as we care for our own and look forward to staying in your house and looking after your pet(s). I have known Trish for a number of years first in a business capacity and later as a friend. Trish is one of the most honest, hardworking, caring and trustworthy people I have ever known. I have no hesitation in recommending her as a house sitter as I would have her sit for me and my dog (Milo who loves her to bits) anytime.